Bigfork, MT, October 10, 2017 – uAvionix Corporation announced today that both the echoUAT and SkyEcho ADS-B Transceivers are officially supported on ForeFlight Mobile, the leading flight planning app for the iPad® and iPhone®. As part of the Foreflight Connect program, echoUAT and SkyEcho display ADS-B weather and traffic through the ForeFlight Mobile application. echoUAT combines affordability, EFIS compatibility, and ease of installation in a remotely mounted ADS-B transceiver for Experimental and Light Sport Aircraft. At only $999, it delivers dual-link (1090MHz and 978MHz) receivers and a 978MHz UAT Class B1S transmitter. 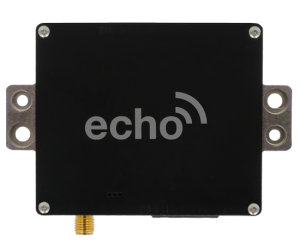 echoUAT includes integrated Wi-Fi and direct wired communication options for use with popular transponders and EFIS models from Advanced Flight Systems, GRT, and MGL Avionics. The internal, automatic transponder monitor integrates with legacy Mode C and S transponders for maximum retrofit capability at no additional cost. The echoUAT, designed to meet the performance requirements of TSO-C154c, is compliant with FAR 91.227 for operation in the National Airspace System. 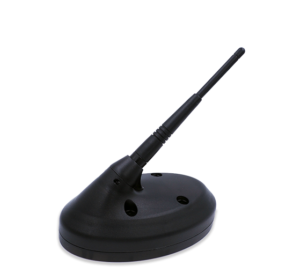 The SkyEcho portable ADS-B transceiver is the third uAvionix approved portable ADS-B Out solution under the UK’s Electronic Conspicuity Devices program. It combines ADS-B receive, transmit, an integrated SBAS GPS based upon uAvionix’s TSO’d FYXnav, an altitude pressure sensor, and Wi-Fi in a portable battery powered package weighing in at 200 grams. SkyEcho is intended for voluntary use on registered and non-registered UK Annex II aircraft, non-complex EASA aircraft of <5700kg and for gliders and balloons within uncontrolled UK airspace. echoUAT, SkyEcho, and ForeFlight Mobile are revolutionary products receiving praise from both critics and the flying community. When paired with ForeFlight Mobile pilots experience seamless ADS-B weather and traffic data overlaid onto the many charts and maps that the ForeFlight app brings to the cockpit. Learn more about the EchoUAT and SkyEcho at uAvionix.com. uAvionix has gathered a cross-disciplinary team of experts in embedded RF engineering, hardware, software, and cloud services to develop the world’s smallest, lightest and most affordable ADS-B transceivers, transponders, and GPS receivers for General Aviation and unmanned systems.